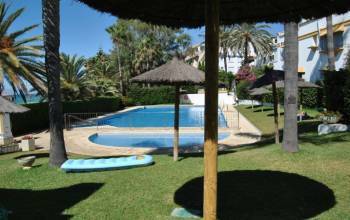 Townhouse for sale in Marbellamar, Marbella's Golden Mile beachTownhouse next to the beach of Marbella, Golden Mile. Close to shops such as supermarkets, restaurants, etc. It is located in one of the corners of the urbanization. 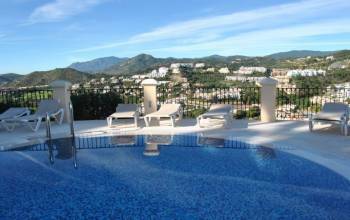 Penthouse in Buenavista de la Quinta, Benahavis.A superb luxury top floor apartment offering the most spectacular views over the area and down to the sea. Built to an extremely high specification, this apartment has underfloor heating in the bathrooms, high quality fitted kitchen and separate washing room.